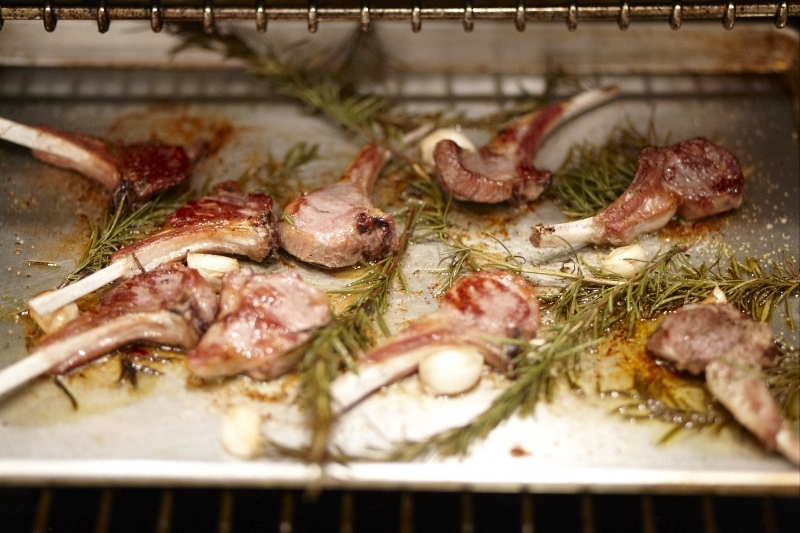 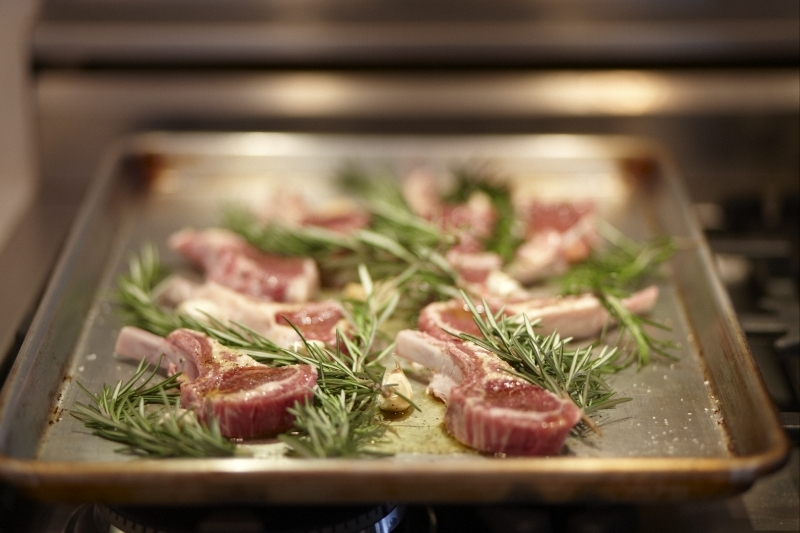 Cut racks into individual chops and lay out on backing sheet. 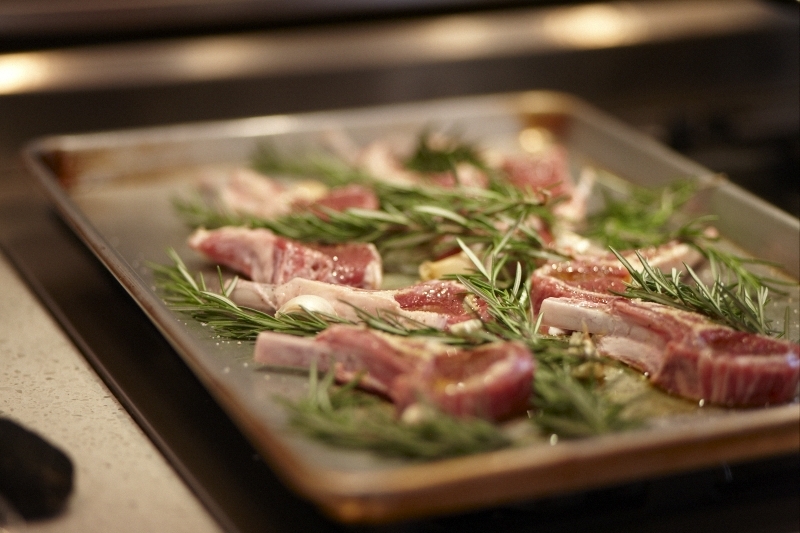 Add rosemary and garlic cloves. Roast on medium for around 10-15 mintues (for medium rare).